The black silk dress will be shown at the Museum Of London in a new exhibition looking at the potential threat caused by any future epidemic. Prince Albert Victor, known as Prince Eddy, was second in line to the throne when he died at Sandringham at the age of 28 in 1892. His death, while apparently fit and healthy, shocked the nation. Displaying the dress “shows the impact that influenza can have, that nobody is immune from an outbreak”, Vyki Sparkes, co-curator of the new exhibition, Disease X, said. “This is a member of the royal family, a young member of the royal family who died and that changed the course of history, this changed the whole lineage to the throne,” she said. “He was just due to marry. The nation was gearing up for a wedding and not a funeral. So it was a huge shock, not only to the family but the nation. “It changed the course of history with his younger brother becoming king, King George V.
“But it also changed the way epidemics were seen. Influenza, before that, was seen as not very serious. The royal court went into mourning for four months, with Queen Victoria believed to have worn the dress for the earliest period. 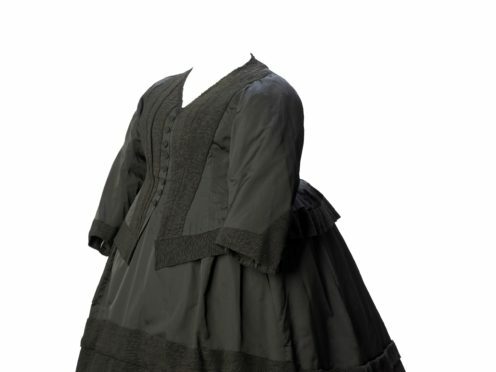 Ms Sparkes said it was “quite a practical dress”, with one large patch pocket on the front and a number of hidden pockets inside, as well as the thick band of black mourning crape silk, designed to display the depth of Queen Victoria’s sadness. “So she definitely wanted to wear it and make it a useful dress,” she said. It took 50 hours to make the mannequin “of the exact size and shape” of Queen Victoria, who was of very short stature, and conserve the gown for display. The exhibition will also capture the story of a “dashing hero” of the First World War, William Leefe Robinson, who was struck down by flu shortly after returning to England in 1918. 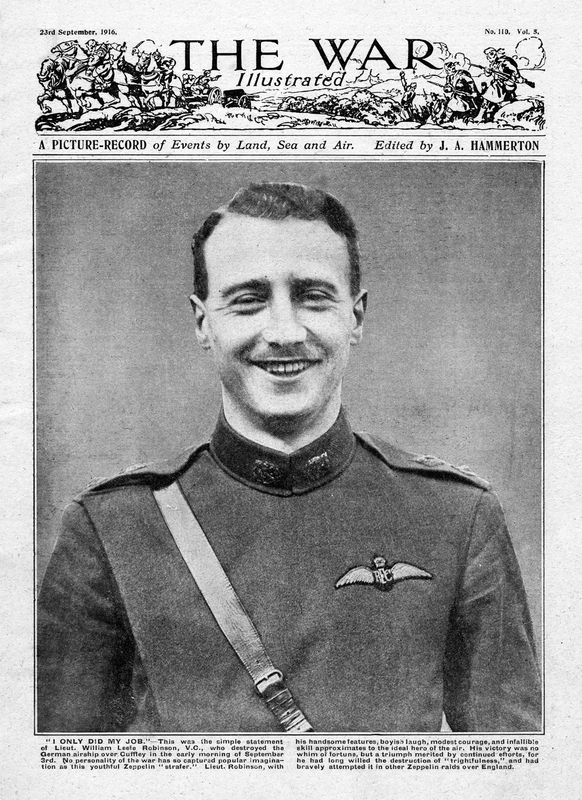 He had been awarded the Victoria Cross for shooting down a Zeppelin on its way to London and later made three attempts to escape after being captured and imprisoned in France. 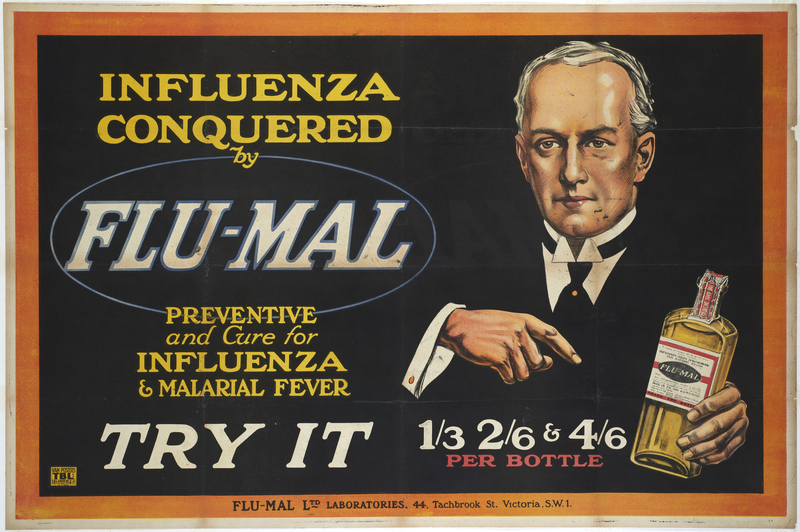 Disease X: London’s Next Epidemic?, a free exhibition, opens on November 16 and runs until February 2019 at the Museum Of London.